This episode of the Bowery Boys series offers a touch of science fiction as the boys find themselves trapped within a house filled with mad scientists who wish to experiment on them. Before the boys can escape, they must face a series of adventures, including a bout with gorillas and robots. 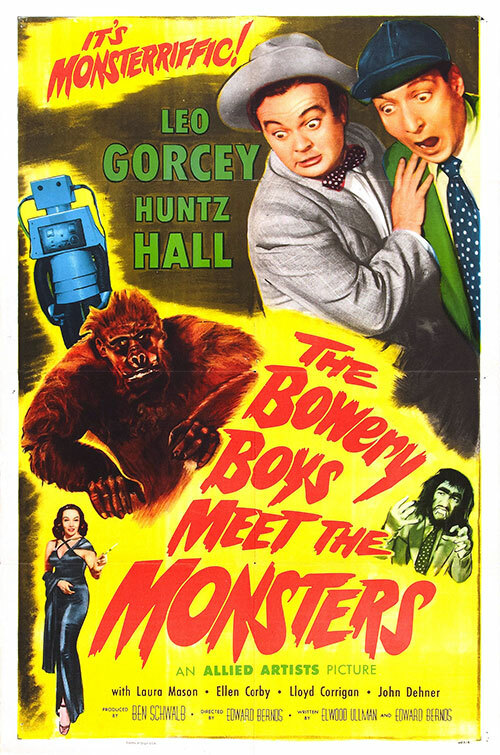 0 Response to "The Bowery Boys Meet the Monsters (1954) Edward Bernds"